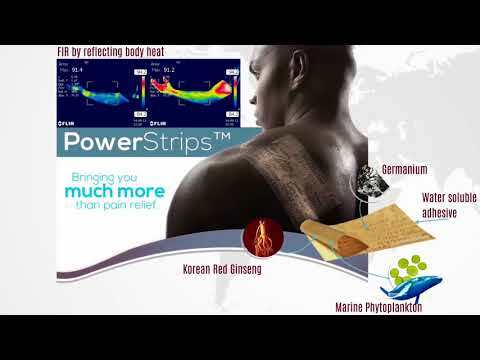 The unique technology used in Powerstrips activates far infrared (FIR) wavelengths to take nutrients deep into the body through the strip, which easily adheres to the skin. This technology transfers infrared heat into the body tissue, which considerably improves blood circulation and heats the tissue resulting in substantial reduction or elimination of pain symptoms. PowerStrips,far infrared thermal strips – something more than pain relief! Germanium: a semiconductor which has the capacity to deflect heat waves back into the body. For the prevention of aging and the improvement of blood circulation. Korean Red Ginseng: contains glycosides, saponins, peptides, vitamins and minerals. Marine Phytoplankton: one of the most powerful foods rich in minerals, amino acids and antioxidants which supports the protection of the immune system of the human body. Among other nutritional ingredients, Phytoplankton contains silver ions which are one of the most powerful bactericides made available by nature. Pictures taken with an infrared camera before and after the application of Powerstrips. Circulation has improved considerably. The digestible macro-elements and trace elements nourish the skin and improve its appearance. Due to its saponins, Red Korean Ginseng has a positive effect on the healthy cells of the body, improving the permeability of cell membranes and eliminating toxins. It acts as a remarkable adaptogen, helping the body to cope with stress and adverse environmental impacts. The following images show before and after thermal imaging photos indicating increased circulation, blood flow, detox and oxygenation to cells and tissues. Not intended to cure! For external use only! Listed by the FDA as a Class 1 Medical Device for the relief of pain and improvement of the feel and texture of the skin. The Food and Drug Administration (FDA) is a federal agency of the United States Department of Health and Human Services, responsible for protecting and promoting public health through the control and supervision of food safety, dietary supplements, prescription and over-the-counter pharmaceutical drugs (medications) and medical devices. Gynecological problems - divide the strip into 4 equal pieces. Place 1 piece above the crotch, 1 piece just above the tailbone and 1 piece below each ankle of the feet. Main point of application - the affected area. Powerstrips are intended for external use only. 1. All strips are placed in a specially designed sealed envelope where they are to be stored. Remove from the packaging just before use. 2. To apply the strip, carefully remove the bottom surface of the strip with gradual adhesion to the skin. 3. For best results, a new strip should be applied every 1-2 days. 4. Before showering or bathing, remove the strip and then apply a new one. 5. After removal of the strip from the skin, you may notice a slight redness. This is a normal reaction. - When applying the strip to joints or uneven surfaces (knees and elbows, bent legs, shoulders, wrinkled skin, etc), skin-friendly supporting tape is additionally recommended (e.g. plaster). - Thrombosis: Do not place the strip directly on a blood clot or just above it. - Do not apply the strip directly on burn wounds, open wounds or skin ulcers. - Those who suffer from skin diseases, pregnant women and lactating mothers should first consult their doctors. The strips should be stored at a temperature no higher than 20 to 25 degrees Celsius (C) or 68 to 77 degrees Fahrenheit (F). (In the sealed package in which you received them). Ingredients: Korean Red Ginseng saponins, germanium, marine phytoplankton (including silver ions). * Scientists have found that germanium in the blood behaves similarly to hemoglobin and, like hemoglobin, is involved in the delivery of oxygen to the body tissues. This prevents the development of oxygen deficiency (hypoxia) at the tissue level, and seamless delivery of oxygen to the tissues is a guarantee for the proper functioning of all body systems. Phytoplankton forms the basis of the marine food chain. It is the most complete and balanced nutritional source. However, until now man was unable to take advantage of this extraordinary food source. The human body does not have the digestive enzymes to break down the “shell” of the microscopic plankton plants, therefore, if the cell wall is still intact, very little, if any nutrients can be absorbed. The only form of Phytoplankton which can be used effectively is developed with T Harper Alpha 3 CMP,a process which allows for cell wall cleavage of the phytoplankton from the human body. In this way, all of the phytoplankton biomass is available for human consumption. 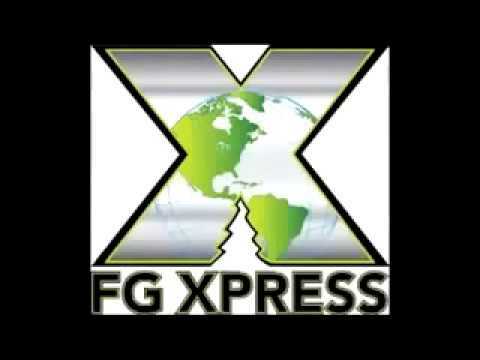 Exclusive to ForeverGreen, the powerful and unique Alpha 3 CMP process captures the benefits of the entire plant and delivers them to your body in the most absorbable form, making Forevergreen the only company in the world to produce products with 100% absorption of all Phytoplankton nutrients. Silver ions are 1700 times more effective than carbolic acids and 5 times more effective than chlorine, sodium hypochlorite, and have a broader activity spectrum than most antibiotics. Silver ions are able to eliminate up to 700 types of pathogenic bacteria, fungi and viruses, including BCG dysentery, typhoid fever, cholera, streptococci and staphylococci. The effect of silver ions on fibroblasts causes them to proliferate quickly and promote the regeneration of the human tissue, which makes it possible to treat cancer tumors. Psoriasis is a chronic autoimmune disease characterized by areas of skin with thick scales that may be pruritic or painful. It is estimated to be 125 million people worldwide. The severity of the disease varies from person to person and about 25% of patients suffer from moderate to severe disease. Prodigy-5, 19 Nov 2017 . A cocoa, the food of the gods, for the first time with all the ingredients of nature, from the fruit and the shell, with energy for the whole day, with incredible results throughout the body, weight loss, detoxification and more. KETOBRU, 16 Jun 2017 .